I recently hosted a Pampered Chef gathering with my girlfriends and decided to beef up our grilling gear in anticipation of simple summer night meals. 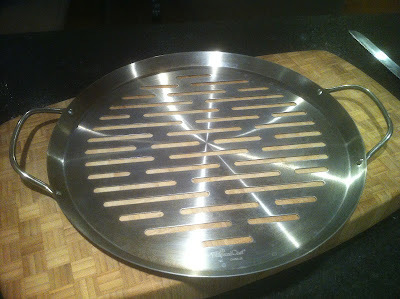 You know we love a good pizza, so my eyes were immediately drawn to The Pampered Chef BBQ Pizza Pan. I'm happy to say my instincts were correct - we've used the pan at least once each week since it was delivered. The pan itself is very easy to use and clean (dishwasher safe!). Simple spray the pan with a non-stick spray, sprinkle lightly with cornmeal, and continue to put together your pizza laying the dough directly on the pan. Cook your pizza on the grill (keep the lid closed) for approximately 15 minutes on medium-high heat. 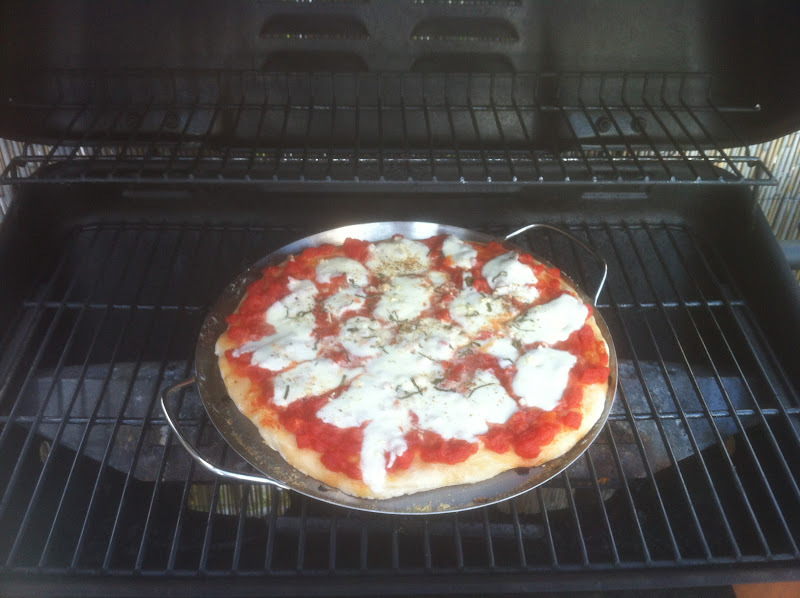 What's the difference between the oven and the grill? The result: a crispy crust with beautiful grill marks. In one bite you'll forget your at home, instead of at your local pizzeria. At $24 this was a great purchase that we plan to every summer, all summer long. For all you with grill master Dads, just a reminder that Father's Day is next week! I thought Fathers Day was yesterday. haha! I should have Googled it before calling you.